It’s flue season, so call in the chimney sweep! The weather has chilled, the wind is gusty, and soon the snow flakes will fall. When these ghastly weather conditions set in, there is no cozier place than near the crackle of a warm fire while sipping a steaming cup of coffee or cocoa. However, it is important that before firing up that hearth, have it cleaned by a qualified professional to prevent flue and chimney fires. Paul Thibault blogged Flue Season: Have your fireplace and chimney inspected so that readers would become more aware of the dangers they risk by not having their flue, fireplace, and chimney cleaned out on an annual basis. Fires caused by a heating unit are the second leading cause for fire related deaths in America. Although this is a serious statistic, in the hustle bustle of the holiday season, it is easy to forget to call in the professionals! Add this to your To-Do list this season so that it doesn’t get forgotten and cause a fire that results in an unforgettable tragedy. Paul’s article explains that a main cause of house fires is a compound called Creosote. This is gunk that will build up in a chimney or a flue and slowly block the ventilation path. Although this creosote may not create a large obstruction, its dense nature is one that will seal the pipe, cause the air to redirect into the house, or catch on fire. Here are some quick tips that will help to prevent a house fire. Installing smoke and carbon monoxide detectors along with a screen to catch the stray sparks will help one to be aware of the fire’s activity. Be well informed when purchasing and installing a heat source and only use the fuel type that the stove was designed for. Never use trash items or lighter fluid to start a fire because these items can burn quickly and uncontrollably. It is also never recommended to burn a fire while you are asleep or away from the home. 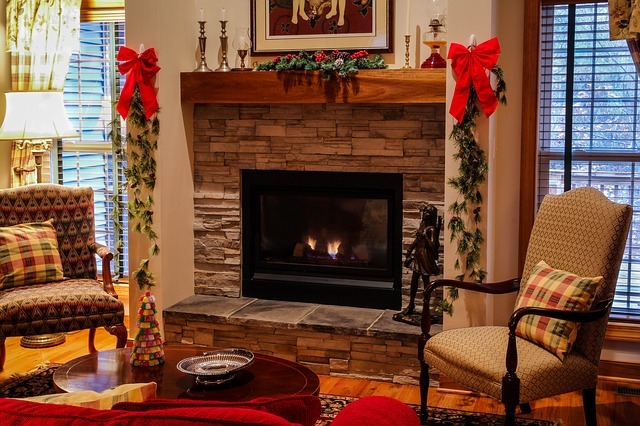 As long as one has properly installed the heat source, keeps the flue and chimney maintained, burns the proper fuel, and uses the appropriate methods to control sparks, we can all expect to enjoy a warm, cozy, and safe fireside evening!